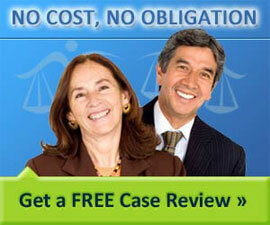 Our network of law websites reflect over a decade of efforts to cultivate high quality premium content. Your law article’s appearance on our website represents that it is useful, valuable and worthwhile reading material. These editorial guidelines will help you understand what kinds of law articles are acceptable and not acceptable for inclusion on our network of legal websites. Please read through these guidelines before submitting an article to us. Original: Content that you provide or submit to us ( referred to as “Submissions” or “Articles”) must be an original work of authorship. We do not accept derivative articles, “spun” content or mass submitted content that has already been mass provided to other online publications and directories. Owned: Submissions must be owned exclusively and entirely by you. If you have hired a ghostwriter, you will need to make sure that you own the Submissions in the entirety and that another author cannot not take credit, in whole or in part, for your Submissions. Informative: Submissions should provide value – they should be useful, educational and timely. Good articles sufficiently inform and educate the reader about the subject matter and makes them more likely to share a hyperlink to your article with friends, colleagues and other people. Refined: Submissions must reflect a high measure of quality and must be reasonable well-written, proofread and free of latent grammar and spelling defects. Our audience comes to our site because they expect to find comprehensive articles about the law that are easy to understand and represent a “polished” effort. Select the legal category that best describes the subject area which your article covers. We may change the category you’ve selected if we feel that another legal category is more suitable for your Article. If no category appears to adequately cover the subject matter, choose “other” and select from the list of subcategories that may appear. If still you find that none of those subcategories are adequate, select the “other” subcategory and follow up with a support request suggesting that we add an additional topic. Even if we do not receive your support request, we may choose to create a new legal category or subcategory for your Article and future Submissions to us. Length: The length of your title should generally be no less than 40 and no more than 75 characters. Keyword Placement: Meaningful keywords should appear within the first 3-4 words if appropriate and does not affect the overall readability and positive impact of the title. Only Standard Characters: Non-standard English characters are not permitted such as those with accents. Capitalization: Use proper capitalization – the first letter of each major word in a title should appear in capitals. No Keyword Stuffing: Repeated words are not acceptable in titles, typically uninformative and send readers elsewhere for more attractive content. For example “Location, Location, Location is the Name of the Game” reflects a poor and uninformative title. No Accreditation: The author’s name and company name should never appear in the title. In most articles the use of names should be done only when necessary and where the article specifically focuses on a specific individual, company or product. Length: An article summary should be 2-3 sentences, optimally between 150 and 175 characters. There is no penalty for longer summaries. Originality: Good article summaries are never copied and pasted from your article and should be a crafted description that adequately summarizes the contents entire article. It conveys a sufficient understanding to the reader of what to expect. Article summaries should not have a “high sell” or self-promotional feel as they will turn away more users than they will entice. No Accreditation: Do not include your name or your company’s name in the Article Summary. You will have plenty of opportunity to have users find contact information in your profile. It looks great and works well. No Contact Information: Hyperlinks, email addresses and domain names are not appropriate and not permitted. You will have plenty of opportunity to have users find contact information in your profile. It looks great and works well. The “article body” is the full text of your article. The quality of your legal article will ultimately determine how often it will get bookmarked and shared by our audience. English Language: All Submissions are required to be in the English language with U.S. spelling preferred, British spelling acceptable. Spelling, Punctuation & Grammar Checked: All Submissions must reflect an adequate attempt to correct errors in spelling, punctuation and grammar. Almost all current word processors have such features and other tools are made generally available online. Proper Formatting: Articles should reflect good use of paragraphs and spacing. Ordered or unordered lists should be used where appropriate. Readability and comprehension of an article are greatly enhanced with proper formatting. Word Count: While there is no hard limit to the length of Law Articles that appear on our site, most range from a minimum required length of 400 words to 800 words on common legal topics. Articles below 400 words are usually not sufficient to convey a sufficiently complete understanding and appreciation of a legal topic. It is not uncommon for some law articles to reach 1,000 words, depending upon the nature of the subject matter and the amount of information that is deemed to be important and essential for the reader to have conveniently accessible in one place. If an article exceeds 800 words, it is possible that the subject matter might be more adequately explained in two law articles. Law Journal Articles will frequently exceed 1,000 words due to the need for a greater scope and need for specific scholarly information. Original Content: Your Submission must be an original effort and “work of authorship” – it must be generally unique in both substance and form. We do not accept articles that have been “spun” or cleverly reworded so that the same article can be submitted again without much effort. Submissions may not be a “derivative work” of other original content. Hyperlink Rules: We make a very generous number of hyperlinks available our Authors in their Author Profile, which appears in the law articles on our network of websites. As such, the number of hyperlinks permitted in articles is limited to the amount reasonably necessary for your article. These guidelines appear in the following section and are important to review. Do Not Enter Title Text and Author Credit: Do not include the Article Title, your name, your company’s name or any biographical information in any Submission. The Article Title has its own separate entry box in the Article Submission Form and your name and biography are managed in the Edit Account Page. Both will appear automatically and properly formatted, optimized for search engines and in an aesthetically pleasing format. No Sales, Promotions, Press Releases, Advertisements or Teaser Text: The purpose of law articles that appear on our site are to engage, inform and educate the reader about on a legal subject or matter of interest. The content body may not contain text that would be more suitable or appropriate for a press release or promotional advertisement. Product pitching, self-serving statements, self-serving hyperlinks, promotion of yourself or your company, calls to action, excessive praise of a person, company, product or service are immediate red flags and not acceptable. They also generally repel users quickly who will leave your article and search for an alternative bona fide resource. Newsworthy events may be entered into our Event Calendar. No Personal Articles, Emails, Blog Posts or General News: If you are submitting an article that prior appeared as part of an email correspondence or a blog post, you must revise the article so that it appropriately addresses a general audience expecting an informative article. News articles are appropriate for our Above The Law and The Law Journal publications, which contain sections for current and newsworthy events. Series of Articles: If the subject matter spans a series of articles, each individual article must be able to justify itself as its own stand alone article. Submissions that are primarily teasers that lead to other articles (usually on another website) are not acceptable. If you have published another Submission on our website or network of websites, it is permissible to include a link to that article. We may also choose to add hyperlinks for series of articles where we deem appropriate. Limited HTML, No CSS: You may use standard HTML for the following types of formatting: bold, strong, italics, emphasis, underline, blockquote, ordered and unordered lists and pre-formatted tags. While headings may be provided, we generally only allow headings from H2 and below since our title tags use H1. If these are not set or not set appropriately for our website, we will edit the article to include header tags that we deem appropriate. Do Not Copy and Paste Microsoft Word Text: When you copy and paste text from Microsoft Word and other word processors, it will usually leave invisible formatting tags that create significant display problems with most websites and require cleanup. If you wish to copy and paste an article, paste your article first into a plain text editor (such as Notepad for Windows based computers and Simple Text for Apple computers) and then paste the resulting text into our Article Publish Form. No Keyword Stuffing or Extended Use of Bold Type: Articles that repeat the same keyword excessively are not acceptable. This typically occurs when an Author believes that repeating popular phrases more often will make their law article more attractive to search engines for the desired legal keyword. Search engine algorithms may actually penalize articles that appear with “keyword stuffing” and there are additional negative repercussions of using this practice. Keyword stuffing repels users who immediately realize that an article was written for a search engine and not for a human reader. Excessive use of bolded type to highlight text is also not acceptable for similar reasons. Limits on Negative Content: While we accept and invite strong opinions (which frequently occurs with sensitive “hot topics” such as human rights), it is not acceptable for Submissions to contain content that may include any of the following material: defamatory, libelous, pornographic, obscene, profane language, advocating illegal or unlawful activities, advocating violence, religious or racial bias or intolerance, hate speech, clearly intended to be a malicious act directed towards a person, company or other entity. Hyperlink Number: Hyperlinks may only be used where necessary and of significant value to the reader. Generally we allow up to three hyperlinks per article (exceptions apply when necessary, such as providing a list of bar associations) with a maximum of one hyperlink to a page that you own or control as and if necessary. Hyperlinks to web pages that you own, control or are related to you or your company are immediately flagged. A common unacceptable practice is when the author creates a page or small content section on a related website for the purpose of citing and placing a hyperlink to that self-serving article within a Submission. For example, instead of providing a hyperlink to the New York Department of State website where official guidelines appear, the author provides a link to an article on a self-serving or related website that paraphrases or provides a portion of those official guidelines. Hyperlink Location: Hyperlinks may generally not appear “above the fold” or on the first screen of text visible to a user when arriving an Article web page. This usually translates to the first three full paragraphs of text being hyperlink free. The appearance of links early in an article significantly reduces the value of a law article to many readers. Exceptions will be made where it is important or necessary for hyperlinks to appear earlier in an Article. Proper Anchor Text: Any inclusion of hyperlinks should include the proper “anchor text” or words which are hyperlinked between “anchor tags.” These words usually appear underlined and in blue text on many websites. Bare hyperlinks should not be provided without meaningful anchor text such as “you can find our Law Guide at http://www.thelaw.com/guide/” – the words “Law Guide” are the appropriate anchor text for the hyperlink. You should have only up to 3 words as anchor text and in special circumstances, we permit up to five words where appropriate. Names or cities that are hyperlinked count as one word and connectors such as “a” or “the” do not count as words for this purpose. Must be Relevant and Operational: All hyperlinks included in any Submission must be relevant to the subject matter and fully operational both in substance and form. Hyperlinks must relate directly to the law article and the anchor text and the destination page must be operational. Hyperlinks to websites that are “Under Construction” are not acceptable. We check all hyperlinks periodically to ensure that they are operational and will update hyperlinks to reflect new locations and remove hyperlinks which result in dead links. No Unapproved Image or Download Links: Hyperlinks within the Article body must point to a web page or website and may not point to an image or to a file for download. Download links are prohibited unless explicitly approved by us. No HTML Formatting: Hyperlinks should not be bolded or otherwise altered so as to unnaturally generate greater attention. Our style sheets format hyperlinks so that they are useful, aesthetically pleasing and easily identified in an Article. Article “tags” or “keywords” or individual words or phrases which are most commonly used to identify and describe important characteristics of your content. Tags and keywords also empower users and search engines with the ability to easily locate related documents by associating a group of indexed hyperlinks to a law article. For example, an article in our Criminal Law category concerning “expungement” would do well to have a keyword of the same name. Clicking on that keyword will result in a list of other articles that contain that same keyword (“expungement”) and focused on the same subject matter. Separate with a Comma: Separate all of your tags, keywords and phrases with a comma. Keyword Limits: We allow up to six keywords per Article. Some law articles don’t require all six keywords so don’t feel compelled to add them. Keywords Must be Relevant: Most keywords are words or phrases that are most frequently used. We will not publish keywords that are not or distantly related to an article and used solely in an attempt to attract attention. Deliberate misspellings are also not permitted. First Name and Last Name: In the Edit Profile Page there are fields to enter your First Name, Last Name and Author Full Name. You must enter your real first or middle name (whichever you prefer) and last name. If you want your name to appear in your articles differently, don’t worry – see the next section. Full Name: The author Full Name field is an optional way for you to customize how your full name appears in your Author Profile. For example, your middle and last name may be Ross Perot. However, you prefer to have your title as a doctor and first initial “H” appear along with your middle name. Entering “Dr. H. Ross Perot” in the Full Name field and selecting this format in the “Display to Public as” dropdown menu will make that custom author name appear in your Author Profile. Only generally recognized titles and those that are generally recognized are permitted. The Full Name field must match the author’s real name and as appears in the First Name and Last Name fields. The Full Name field is not to be used as a nickname or pen name. We set a maximum length for the Full Name field at approximately 35 characters. Biography: The Author Biography is a concise paragraph of text that introduces you to the reader. It should contain short synopsis of approximately 45-70 words sharing who you are and mentioning some of your experience and accomplishments as a subject matter expert. Your Author Biography is not intended to be a resume or an abridged autobiography. When a reader’s interest is piqued in your expertise, they will be drawn to discover more about you – which is why we provide a complete selection of the most popular and useful professional social networking icons and hyperlinks. Readers prefer to read your full bio and resume at professional websites like LinkedIn, Facebook and GooglePlus. As a result, neither hyperlinks nor email addresses are allowed in your Author Biography as they are completely unnecessary. Social Networks: User or Vanity Names: You can enter contact details and your social network URLS in the Contact Details edit page.